The Bureau of Democracy, Human Rights and Labor (DRL) is one of three bureaus that comprise the Office of the Under Secretary for Democracy and Global Affairs within the U.S. State Department. (See also Bureau of Oceans and International Environmental and Scientific Affairs and Bureau of Population, Refugees and Migration). The DRL is perhaps best known for the annual country reports it generates on human rights practices around the globe. Starting with a congressional mandate and a humble 286 pages in 1977, these reports have become one of the most trusted and comprehensive sources of information for human rights advocates and officials. The Bureau also administers a multi-million dollar grant portfolio, including the Human Rights and Democracy Fund (HRDF), financing a wide range of human rights and democracy programs worldwide. Programs are carried out regionally or on a country-specific basis, focusing on issues such as press and religious freedom, civil society building and democratic reform, labor rights and women’s initiatives. The Bureau is expected to help formulate and implement US policy abroad - especially with regard to the State Department’s increasingly prioritized agenda of democratization in transitioning countries. Recent typical projects include the training programs Internews Pakistan, National Democratic Institute South Asia and Trust for the Americas Western Hemisphere. DRL is divided into three regional offices: Near East Asia and South Central Asia (NESCA), headed by Francisco Palmieri; Asia and Western Hemisphere (AWH), headed by Nadia Tongour; and Africa and Europe (AE), headed by Bruce Connuck. These offices are responsible for administering and overseeing programs funded by the Human Rights and Democracy Fund (HRDF) as well as issuing advisory opinions on asylum claims in the US and drafting the annual Country Reports on Human Rights Practices and the Supporting Human Rights and Democracy report, which summarizes US government strategies and activities. The Bureau is further organized by thematic offices, including the programming unit, which manages the Bureau’s grant portfolio; The Office of International Religious Freedom (IRF); The Office of International Labor Affairs and Corporate Social Responsibility (ILACSR); The Office of Multilateral and Global Affairs (MGA); and the Office for Strategic Planning and External Affairs (SPEA). Given that the frankness and rigor demanded of human rights reporting is often at odds with US foreign policy and diplomatic efforts, the reporting process has faced strong opposition from within the US government, while early critics maintained reporting was softened to accommodate other US policy interests. Over the last thirty years the reporting process and protocol have undergone successive reforms, moving away from diplomatic language toward a standardized and decisive indictment of abuses and analysis of human rights culture. Yet as the US loses international credibility for its own human rights practices, its authority to question those of other nations has come into question in recent years. The DRL’s focus tends to be on the Middle East, Africa and China, and some Latin American countries. In the 2006 Country Reports, Burma, North Korea, Iran, Cuba, China and Zimbabwe were among the worst offenders, and US allies Saudi Arabia and Egypt were also criticized. 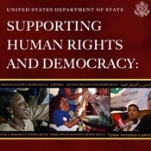 In addition to the country reports, DRL also publishes an annual Supporting Human Rights and Democracy report (see the fifth annual “Supporting Human Rights and Democracy: The US Record 2006”). The Supporting Report is submitted to Congress in compliance with the FY 2003 Foreign Relations Authorization Act, which requires the Department to report on the government’s human rights activities. Established by Congress in FY 1998, the HRDF is intended to be the “venture capital” of democracy promotion. Programs are implemented by US-based NGOs in partnership with in-country organizations and include, for example, education and training, civil society and capacity building, election monitoring and parliamentary development for nations transitioning to democracy. The DRL currently administers about 200 programs that exceed $340 million in 50 countries. It typically funds country-specific programs, as well as some regional and global human rights initiatives, and a $1.5 million emergency fund to protect human rights advocates. (For more information on the Human Rights Defenders Fund see this link). Most DRL programs are awarded through open, merit-based competition. The DRL occasionally receives additional funds from Congress, other State Department Bureaus and U.S. agencies. The HRDF budget has gone from $7.82 million in FY 1998 to more than $126 million in FY 2006 (with about half of the latter going towards the Iraq conflict). In FY 2007 the DRL received approximately $205,300,000 for Iraq programs; $71,033,000 for HRDF programs; $25,900,000 for other ESF (Economic Support Fund) and DF (Democracy Fund) programs; $15,098,000 for NED (National Endowment for Democracy) Earmarked programs; $2,750,000 for Burma programs; and $2,000,000 for SEED (Support for Eastern European Democracy) programs. Although the factual content of the DRL’s country reports is rarely countered by credible independent sources (i.e., not the country being reported), much of the debate surrounding the bureau results from the U.S. government’s diminishing credibility as an authority on human rights issues in the international community, particularly in light of recent War on Terror developments such as Abu Ghraib and Guantanamo, as well as asylum and civil liberty issues. Many question whether the U.S. indeed is in a position to collect information and pass judgment on the human rights and democracy practices of other nations given what might be construed as its refusal to acknowledge its own. (For example, while Reports will criticize countries with obscene human rights records such as long-time US ally Egypt, the fact that the US government has sent suspects there for expert torture and interrogation is omitted). "There were reports of disappearances perpetrated by government forces during the year, some of which may have been politically motivated. In nearly all cases, security forces abducted persons and detained them in undisclosed locations for varying lengths of time ranging from weeks to months." "The constitution prohibits torture....Nevertheless, there were numerous credible reports that security forces and prison personnel tortured detainees and prisoners." "In practice there is no legal time limit for incommunicado detention nor any judicial means to determine the legality of detention. In the period immediately following detention or arrest, many detainees were held incommunicado and denied access to lawyers and family members. Security forces often did not inform family members of a prisoner's welfare and location. Authorities often denied visits by family members and legal counsel." "The constitution provides for an independent judiciary; the judiciary was under intense pressure to conform to government policies, and the government repeatedly refused to abide by judicial decisions." "Security forces monitored the social activities of citizens, entered homes and offices, monitored telephone conversations, and opened mail without court authorization." "Top ruling party officials and businessmen supporting the ruling party received priority in distribution of the country's resources..."
"In practice the government occasionally denied access to information, citing reasons of confidentiality or national security." "ICRC [International Committee of the Red Cross] access to prison and other detention facilities was restricted..."
Although the most recent report (2006) includes an acknowledgment that the US’s “own journey towards liberty and justice for all has been long and difficult,” and it is “far from perfect,” the absence of any auto critique or addendum on US issues by a third party (Human Rights Watch, Amnesty International, etc.) reiterates the government’s well-worn position of non-submission to international or multilateral apparatuses of human rights and justice. Additionally, as mentioned above, the country reports were initiated by a Congressional mandate, and were seen from within largely as an imposition on foreign policy. Diplomats complain publication of the reports makes their job more difficult, and speaking out against human rights abuses - perhaps committed by allied governments - is hardly a career incentive for Foreign Service employees. Meanwhile, outside observers have criticized the process for accommodating diplomatic sensitivities. In the 1980s, the Lawyers Committee for Human Rights began issuing yearly critiques, concurrent with the country reports, but stopped after significant changes were made in the 1990s with regard to language and methodology. The reports themselves are a cooperative effort between the DRL’s policy officers and embassy officials using their own diplomatic channels, with final approval landing somewhere between the Bureau, embassies, and finally the Secretary of State herself. The area covered by the reports moves well beyond the traditional diplomatic realm - a fact that has both stirred internal tensions, and purportedly resulted in a richer, more objective text. The DRL Reports are criticized, both for promoting government policy, and in some cases, for contradicting it. For example, the 2006 Report on Venezuela gave a partially favorable assessment of the country’s human rights policy, in obvious contrast to the official, public position maintained by the government. can I have a phone number to talk to someone about a recently lost job? The next head of the State Department’s Bureau for Democracy, Human Rights, and Labor will be a leading human rights advocate who was passed over for the job at the outset of President Barack Obama’s first term because his lobbying for rights ran afoul of the new administration’s rule against hiring lobbyists until two years after they ceased to be lobbyists. Tom Malinowski, who has been Washington director for Human Rights Watch since 2001, was nominated July 8. If confirmed by the Senate, he would succeed Michael Posner, who held the job starting in October 2009. Born in 1965 in Poland, Tomasz P. Malinowski left Europe at the age of six with his mother, Joanna, who married American Blair Clark and raised Tom in Princeton, New Jersey. Admittedly “not the world’s greatest student,” Malinowski graduated Princeton High School in 1983, where he wrote for the school newspaper and was an intern in the office of Sen. Bill Bradley (D-New Jersey). He earned a B.A. in Political Science at the University of California at Berkeley in 1987. After working as a special assistant for U.S. Senator Daniel P. Moynihan (D-New York), Malinowski was awarded a Rhodes scholarship in December 1988, earning an M.Phil. in Political Science at Oxford University’s St. Antony’s College in 1991.Malinowski worked as a research assistant for the Ford Foundation from 1992 to 1993. Commencing his public service career, Malinowski served as a speechwriter and member of the Policy Planning Staff at the State Department from 1994 to 1998, working directly under Secretaries of State Warren Christopher and Madeleine Albright. He then spent the last years of the Clinton administration at the White House, serving as a senior director for foreign policy speechwriting on the National Security staff from 1998 to 2001. After the November 2000 elections that brought the George W. Bush administration into power, Malinowski became the Washington Director for Human Rights Watch, widely considered one of the world’s leading human rights advocacy organizations. In this position, Malinowski repeatedly criticized various aspects of President Obama’s policies, which should prove interesting once he finds himself a member of the Obama administration. For example, Malinowski had opposed indefinite imprisonment without trial, supported the acknowledgment of Uzbekistan’s dictator is a dictator, praised the honesty of State Department officials regarding Tunisia’s dictator as revealed in cables published by WikiLeaks—but not spoken in public. A Democrat, Malinowski has donated several thousand dollars to Democrats over the years, including $1,500 to the Democratic National Committee and $500 to the 2004 presidential campaign of John Kerry. If there’s one thing the new head of the State Department’s Bureau of Democracy, Human Rights and Labor knows, it is human rights. Sworn in as Assistant Secretary October 19, 2009, Michael L. Posner has spent the past 30 years dedicating himself to the improvement of human rights around the world as co-founder and leader of Human Rights First. He has been especially vocal in recent years about abuses committed by the U.S. government under the leadership of President George W. Bush to combat terrorist threats, including the detaining of hundreds of individuals at Guantánamo Bay. Born November 15, 1950, in Chicago, Posner attended the University of Michigan and earned his Bachelor of Arts in history in 1972. He went to law school at University of California, Berkeley. During his second year at the Boalt Law School, he became involved with the international human rights movement by spending a semester in Geneva, Switzerland, documenting human rights violations in Uganda. 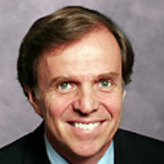 After earning his law degree in 1975, he accepted a job with Sonnenschein, Nath & Rosenthal in Chicago. But his heart was still set on human rights, and when an opportunity arose three years later to found a new organization dedicated to securing basic legal protections for all people, he jumped at the chance. In 1978, lawyers Jerome Shestack and James Silkenat recruited Posner to help start the Lawyer’s Committee on Human Rights, which was later renamed Human Rights First. Posner became the organization’s first executive director, and helped build it over the next three decades from a two-member staff, $55,000-budget operation into an organization with 60 employees and an annual budget of $9 million. While running Human Rights First, Posner helped craft the United States’ first law granting political asylum in 1980, and his organization soon developed into the go-to place for free legal representation for asylum seekers. In 1981, Posner began lecturing on the side at Yale Law School, and later at Columbia University’s Law School. In 1997, he helped launch the Fair Labor Association to promote better working conditions in factories across the globe. In 2004, Human Rights First launched its End Torture Now campaign to halt the Bush administration’s use of harsh interrogation techniques on detainees. Posner stepped down as Human Rights First executive director in 2006 and became president of the organization in order to focus more on public outreach, writing and advocacy. He has also served as a policy advisor of Common Sense Media, which provides parent-oriented reviews of movies, games, television shows, websites, book and music.